Chanel's summer collection hits counters at the end of this week and, if you're going to get excited over a makeup collection, this is the one. 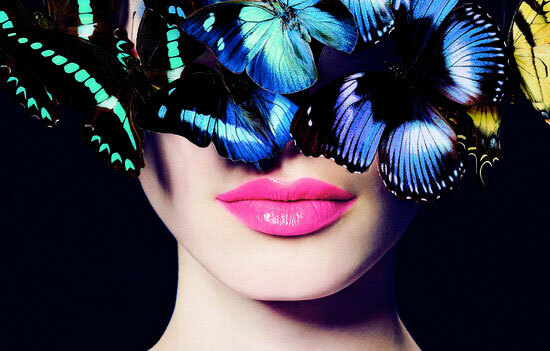 L’Été Papillon de Chanel is bright and beautiful and contains some surprises (yellow mascara, anyone?) alongside new innovations (the eyeshadow stylos are amazing) and, of course, some of the most covetable nail shades of the season. There is nothing like a Chanel polish to send people into a frenzy and, while there's lots of well-deserved buzz around Taboo, which is out next month, the three from the summer collection are not to be overlooked. This beauty, Azuré, is a shimmering blue green that dances in the sunlight and gives a metallic flash to the nails that tells you that summer has arrived. This is one of those complex colours that demands constant examination: the shade is constantly shifting from teal to goldish-green, depending on the angle and the light. Quality is great - I love Chanel's metallic shimmers - and it's perfect in two coats. Lilis, described as an intense coral, and Bel-Argus, a metallic blue, are also launching - each shade is €22.50, limited edition, and can be yours from Friday. Which one of them's calling your name? These are very pretty indeed! They remind me of varnishes Givenchy did a couple of years back.. Also inspired by the ocean. Stunning! Ooooh me likey, me likey a lot. Isabelle, these ones are inspired by butterfly wings - so pretty! Wow the Chanel images are beautiful! So are your own obviously ;) It's a gorgeous colour, probably the one I would be most drawn to! This is beautiful - definitely on my wish list! I'm really loving both of the blue polishes. They're so unique! Nice shimmer about them. Lilis for me please! !Though I see that this summer Chanel is proposing metallic finishes with its unmistakable extra wow factor. I love Azure! Hey Emma, hope you had a lovely weekend! The Azure shade is glorious, love it! I like this blue colour. It's so glamorous. Emma I was in my local chemist this morning stocking up on La Roche Posay and perusing the Essie stand and they have a colour very similar to the blue Chanel one. I never thought to get the name for you (as was too busy snagging the last Mint Candy Apple to wear for my anniversary dirty weekend away) but I'd say it's a great dupe at a slightly less prohibitive pricetag. I'm a total Chanel polish addict and I do believe I need Azure in my life! OH MY GOD!!!!! Love all these colours!!! So beautiful!